When Chris was younger, his Dad always used to make him Chef Boyardee Ravioli before his basketball games. This went on for all four years that Chris played in high school, and although I can't imagine having a stomach full of pasta before running around, it must have worked for him. Chris ended up scoring a career high 1,124 points, had his basketball jersey retired and ended up playing for James Madison University. Chris took my parents and me to see his jersey hanging from the rafters in his high school auditorium, and although I wasn't there for that part of his life, I could not be more proud of him. Chris still plays basketball regularly with a few men's leagues, but they are nowhere near as competitive as his high school or college teams. Since I know ravioli was a favorite for him before games (I guess they give you a boost of energy!) I made a grown-up version of the meal his Dad used to give him. Mixing pre-made ravioli with ground beef, fresh cheese and diced tomatoes makes this a fuss-free meal that's super tasty. Enjoy! 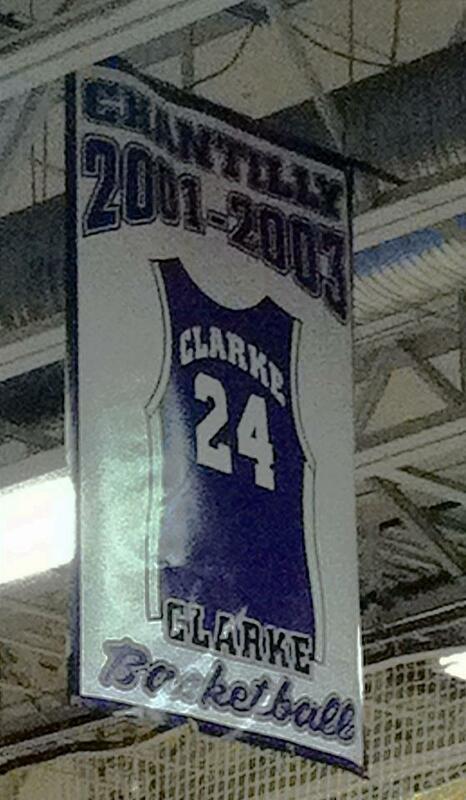 Chris' retired jersey hanging in his high school's auditorium. Preheat oven to 375 degrees F. Cook ravioli according to package directions; drain. Return to pan; cover and keep warm. Meanwhile, in a large skillet, cook ground meat, onion, and garlic over medium heat until meat is brown and onion is tender. Drain off fat. Stir in tomatoes, soup, basil, and oregano. Gently stir in cooked ravioli. Transfer mixture to an ungreased 3-quart baking dish. Sprinkle with mozzarella cheese and Parmesan cheese. Bake, uncovered, about 20 minutes or until heated through. Makes 8 to 10 servings.